The Bulgarian Prime Minister Boyko Borissov said on Thursday (22 March) that the planned ‘leaders’ meeting’ with Turkish President Recep Tayyip Erdoğan should go ahead, despite conditions imposed by Cyprus in February. Borissov is in Brussels for a 22-23 March EU summit, where he will for the first time face the international press alongside Commission President Jean-Claude Juncker and EU Council President Donald Tusk. Bulgaria holds the rotating presidency of the Council of the EU in the first half of 2018. Speaking to Bulgarian journalists just before the summit, Borissov said the mass disturbances that took place in Bulgaria at the start of the refugee crisis, which included violence, arson and upsurge of nationalism, could be replicated on a scale “thousands of times bigger”. A ‘leaders’ meeting’ of Juncker, Tusk, Borissov and Erdoğan is expected in the Bulgarian port city of Varna on 26 March. 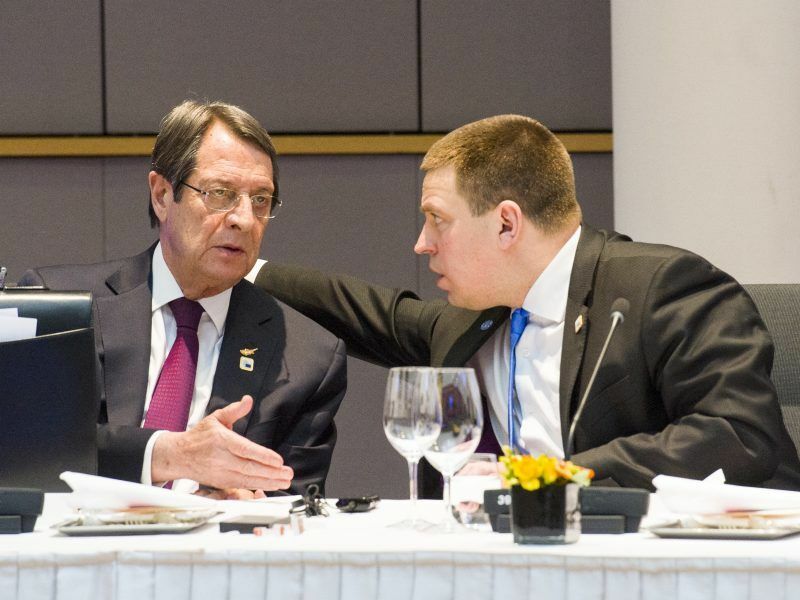 However, it became conditional on 23 February, after Cypriot President Nikos Anastasiades insisted that Ankara should stop “illegal violations” in the Cypriot economic zone. Borissov said it was not yet certain that the ‘Leaders’ meeting’ would indeed take place and admitted he had been under pressure from the leaders of Greece and Cyprus to scrap it altogether. But he said he had agreed that Tusk would come to Varna ahead of the summit so that they can prepare the issues to be discussed, like the status of the fugitives from Turkey who are considered terrorists by Ankara. He also said he was inviting NATO Secretary General Jens Stoltenberg to visit Bulgaria (he didn’t say when), in the context of rising tensions between NATO members Greece and Turkey. He also said he had been asked to mediate the release of the two Greek soldiers who inadvertently crossed the border due to bad weather and were arrested in Turkey. 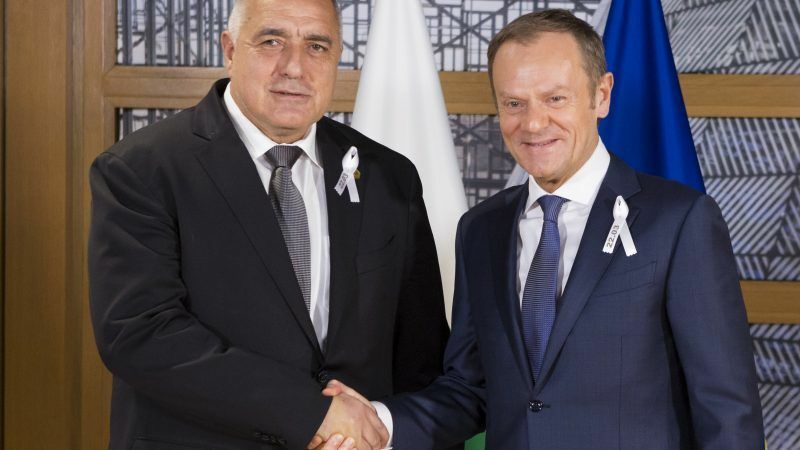 The Varna meeting was arranged as a result of heavy lobbying by Borissov, who counts on Turkey to implement its deal with the EU and prevent migrants from crossing en masse to the Greek islands from Turkish territory. In separate comments, the Bulgarian Foreign Minister Ekaterina Zaharieva said Turkey was implementing its part of the migration deal with the EU. Zaharieva commented on statements made by Erdoğan about delays in paying an agreed €3 billion envelope. The Turkish president said only €800 million had been paid from a package of €6 billion, and that he would raise the issue in Varna. “The money is paid to Turkey in stages. According to my information, €1.5 billion has been paid, and the rest has been committed, under different programmes. When the programmes are ready, the money is transferred”, she was quoted as saying. The aid promised to Turkey is indeed €6 billion, with the second €3 billion to be disbursed in case the first €3 billion tranche should not suffice. On 14 March the Commission approved the disbursement of the second tranche as well.